Dubai, an exotic land of vast deserts, is a beautiful amalgamation of old traditions and futuristic visions. A place where dreams are realized, this arid region is a tourists paradise. Everything here, right from its artificially constructed buildings, to its breathtaking natural scenery, all contribute to an enriching experience. While Dubai has a lot of places to visit, this small Emirate also has a lot to offer in terms of entertainment. 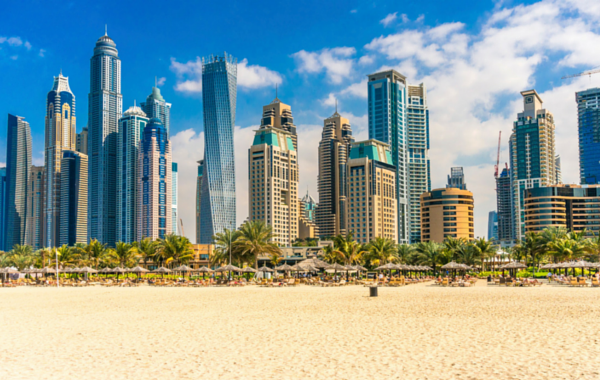 These are just 5 of the entertaining things Dubai has to offer from a hoard of many, so that you can put your Dubai visa to good use. Each entertainment activity as good as the other, by the end of this blog, you'll be rushing to book your Dubai Packages. 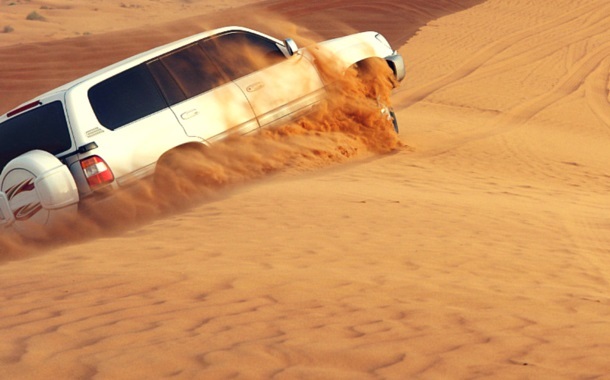 A unique experience made possible because of the desert sand dunes, desert safari is a must do if you’re in Dubai. Drive across scenic Dubai all the way to the sand dunes where you get to enjoy the thrilling Dune Bashing. Roll cage fitted cars with only professionally licensed drivers behind the wheel, ensures your safety. This thrilling adventure stops on top of a sand dune letting you partake in a little sand boarding. This amazing experience is matched with the Bedouin experience complete with barbecue dinner and belly dancing at night. Dubai is that magical place which gives you a taste of both worlds, the desert as well as the snow. 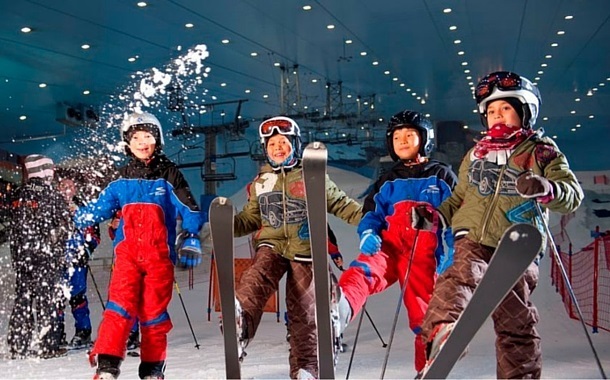 Located in one of the largest malls of the world, The Mall of Emirates, Ski Dubai is an indoor ski resort. Here you get a chance to click a picture with the penguins or ski down a snowy slope or just zip line across, with the snow world below. Ski jackets and pants are provided so that you’re warmly bundled up to chill out with your family. The hustle bustle of daily life can often be tiring. Dubai gives you an opportunity to escape all of this with the hot air balloon flight. It’s a four hour balloon ride that takes you far away from the city space, and gives you a wonderful panoramic view of the Dubai desserts. High above the ground you can feel the calming atmosphere work its magic and you find yourself relaxing. Floating with the wind, just you, the breeze and a breath taking scenery, what more is needed? The sea plane flight offers you a bird’s eye view of the ever evolving skyline of Dubai. For 25 minutes you get to soar high up in the sky getting glimpses of Dubai’s high rises like Burj Khalifa, and a view of the beautiful Palm Jumeirah. After circling over Port Rashid for a while it takes you inland to view the Dubai Creek. This journey ends with a spectacular sea landing, after which you get to step onto dry land once again. If cruising through the peaceful water, with the wind in your hair and a starry night as your backdrop is your ideal scenario, then Dhow Cruise is the cruise you need to be on. 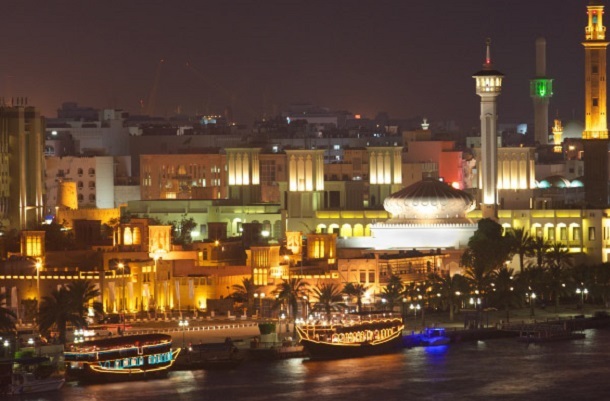 This exotic experience of cruising through the Dubai creek, and getting a glimpse of the beautiful city is unparalleled. Music, dance, and a scrumptious barbecue buffet dinner, the perfect setting, for a perfect night.